Can Your Band Get Music Tour Support? Tour support is financial support for a touring band. It can be used to cover per diems, travel, accommodation, equipment, and vehicle rental and whatever other expenses come up during a tour. Historically, when tour support was offered, it was usually paid by the record label. 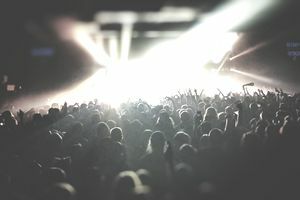 In the 21st century, however, tour support and tour sponsorship has gravitated to business conglomerates and even drink companies with no direct involvement in music. The music business has drastically changed in response to the various crises and opportunities of digitalization. As a part of this sometimes amazing, at other times troubling transformation, some companies, and prominent artists have dissolved almost completely the distinction between artist management, tour management and record label, a part of a trend toward the monetization of everything related to the artist and her music. The endgame in this trend may be the artist who owns their label. In such an instance, does this mean the artist has nowhere to look for tour support or that has complete control over the tour support budget? For big artists, the latter certainly; for others more like no tour support at all. The returns on tour support are not guaranteed, especially on tours that are essentially promotional tours designed to help a band build a fan base - the tour may help the band find an audience, but it may not directly translate into enough record sales to offset the investment. Even before the digital revolution, small label support for touring groups suffered from these and other more-or-less built-in problems. Often the tours succeeded in expanding the fan base -- but thereby enabled the artist's move from the small label to a major. In other instances, as with Stomu Yamashta's ground-breaking, but too-hip-for-the-room world music group GO, even strong tour support offered by adept music promoter, producer, and label head Clive Davis ultimately ended without a payoff. It, incidentally, was a group in which almost every member was a star or superstar, including Stevie Winwood, krautrock and EDM pioneer Klause Schultz, Al Demiola, and Santana's star drummer, Michael Shrieve. And there were more -- it was an eleven-piece band in which every member had a fan base. Fans just didn't necessarily want to see all 11 of them onstage at the same time. Which may be the underlying lesson of the trend toward little or no tour support at all for most musicians: you can't push on a string. The contemporary attitude by tour management and labels now tends to be along the lines that either a new band will succeed somehow without tour support because the audience really wants to hear them (even if they didn't know it until they catch them on their painful, budget-less first tour) or ultimately the audience really doesn't, and no amount of tour money will finally make a difference.